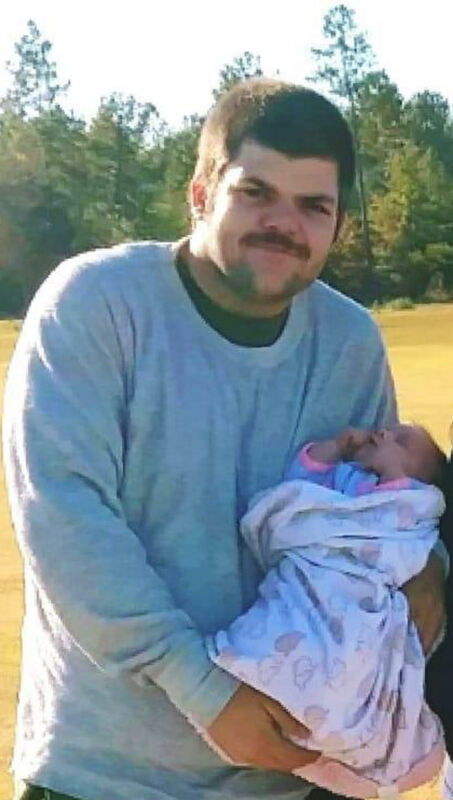 Aiken – Matthew Stephen Russell, 22 went into eternal rest on April 14, 2019. A graveside service will be held at 11 a.m. Wednesday, April 17, 2019 at Redds Branch Baptist Church,, Aiken, SC cemetery with Rev. Richard McWhite officiating. Visitation will be held Tuesday, April 16th from 6-8 p.m. at Dyches Funeral Home, Barnwell, SC. He was the son of the late Richard Shan Thompson and step-father Daniel Russell, Sr. and his mother Belinda Short. He had a passion and love for cars and being a mechanic. He was a loving father, brother and nephew and will be missed by many. Survivors include his daughter, Mia Russell of Aiken. One sister, Erica Russell of Aiken. Three brothers, Daniel Russell, Jr. of Carrollton, GA, James (Victoria) Russell of Mt. Vernon, OH and Zachary (Brittany) Huff of Grovetown, GA. Three aunts, Angela (John) Mitchum of Windsor, Christina (Chuck) Moore of Aiken and Jayme (Foy) Dyches of Aiken. He is preceded in death by his grandparents Frederick and Donna Cook.